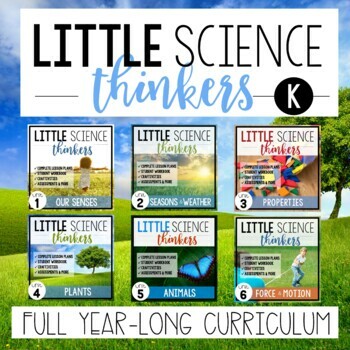 Little SCIENCE Thinkers is a complete curriculum specifically for Kindergarten. It's everything you need to introduce, teach, practice, and assess your kinder friends. 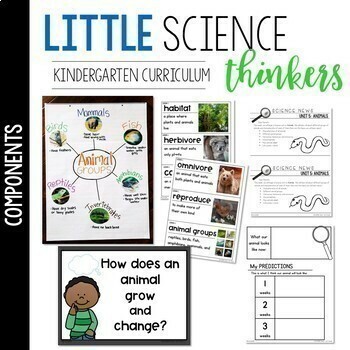 It is cross-referenced with and written using the main topics of state Kindergarten Science Standards and many NGSS. 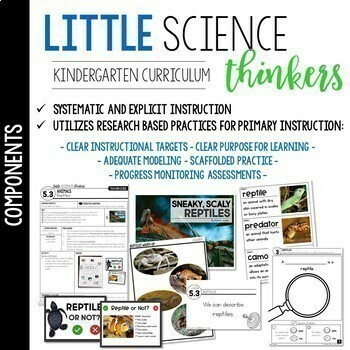 This full year-long curriculum contains lessons for the whole year. There are 6 full unit plans. Lesson 2: WHAT DO SCIENTISTS DO? 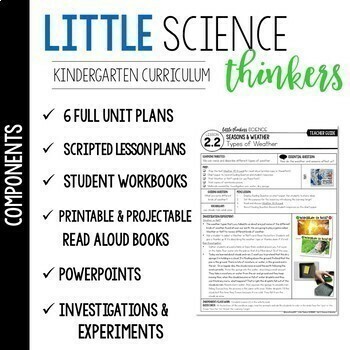 Little Thinkers Social Studies is an original teaching curriculum created and copyrighted by Karen Jones.